While it does not match the overall quality of “Wonder Woman,” “Justice League” does just enough right to be fun night out at the movies, especially if you’re a fan of the characters or of the genre. Hold your heads high, DC Comics fans, and take heart. Looks like your movie universe may finally be on a roll. While it does not match the overall quality of this past summer’s “Wonder Woman,” “Justice League” does just enough right to be fun night out at the movies, especially if you’re a fan of the characters or of the genre. “Justice League” picks up months after the death of Superman (Henry Cavill) fighting a seemingly unstoppable monster alongside Bruce Wayne/Batman (Ben Affleck) and Diana of Themyscira/Wonder Woman (Gal Godot) at the end of 2016’s “Batman v. Superman: Dawn of Justice.” Though that threat was defeated, people around the world, especially in Gotham and Metropolis seem even more without hope. In the face of a new mysterious danger, Bruce and Diana set out to bring together a team of heroes to stand in Superman’s stead and restore hope. Those new heroes include loner Arthur Curry/Aquaman (Jason Mamoa), eager but untested Barry Allen/The Flash (Ezra Miller), and Victor Stone/Cyborg. But will just the five of them be enough to stop an otherworldly menace that once, millennia ago, it took armies of humans, Amazons, Atlanteans, and even other aliens to stop? Will the inspiration of Superman’s sacrifice be enough to inspire them to unite and somehow triumph? Well, isn’t that what super friends do? One major difference audiences should notice between “Justice League” and predecessors “Man of Steel” and “Batman v. Superman” is that the script and direction allow this cast to seriously lighten things up. No, it’s not full of one liners and quips the way a Marvel Studios movie might be. But the brooding darkness that characterized so many of the earlier films’ characters has been dialed back. Yes, Bruce Wayne still has issues, and yes, audiences get to see some follow up from “Wonder Woman” in terms of how decades later Diana is still affected by what she experienced and lost in that film. In addition, the new heroes all have their own idiosyncrasies – throw all of them together brought to life by a talented cast with solid chemistry and you have interesting possibilities for conflict, but also for humor. Put another way, it’s a lot easier this time to actually like these characters than it was in the earlier films. That goes a long way to making the film experience more enjoyable. That said, “Justice League” does have its problems, particularly in its first act. The film labors with bringing together many disparate elements together and getting audiences caught up with established characters and prior storylines, and thus feels scattered in the early going. It can also be argued that while its predecessors lumbered along with exorbitant running times, “Justice League” at a brisk 121 minutes almost moves too quickly, jumping from plot beat to plot beat sometimes without establishing solid connection between scenes. No doubt, an extended version of the film is forthcoming on home video that will rectify these issues. But like its forebears, this theatrical cut shows the brain trust behind these DC film still haven’t perfected how to effectively cut and edit these stories into cohesive and compelling narratives the first time around. If you’re a DC Comics fan, then of course, “Justice League” is worth seeing in theaters. This is a team up that’s been in the making with the folks at Warner Bros. for over a decade. 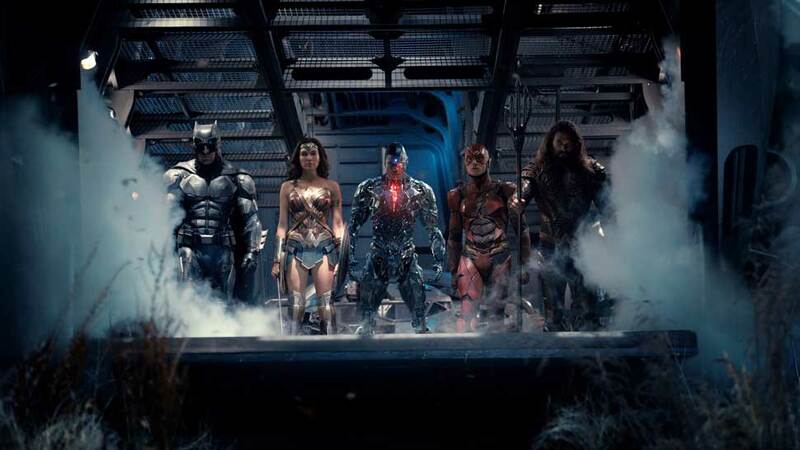 Before that, it was the dream of every fanboy and girl to see these “super friends” at last come together in live action. But beyond that “event” appeal, the film does deliver fun moments, especially for longtime fans who will no doubt spot and recognize Easter eggs that they’ll have to explain to newbies or non-comic book fans along for the ride. In particular, stick around for the two scenes embedded in the end credits – arguably, they trump any post-credits scenes delivered by Marvel so far this year in terms of excitement value. For casual viewers and movie goers, there’s some to enjoy as well, though the film’s flaws may seem more glaring. Go for the banter, go for the comely cast and go to watch your fanboy and fangirl friends’ faces light up during the geekiest moments. Those expressions alone may be worth the price of admission. 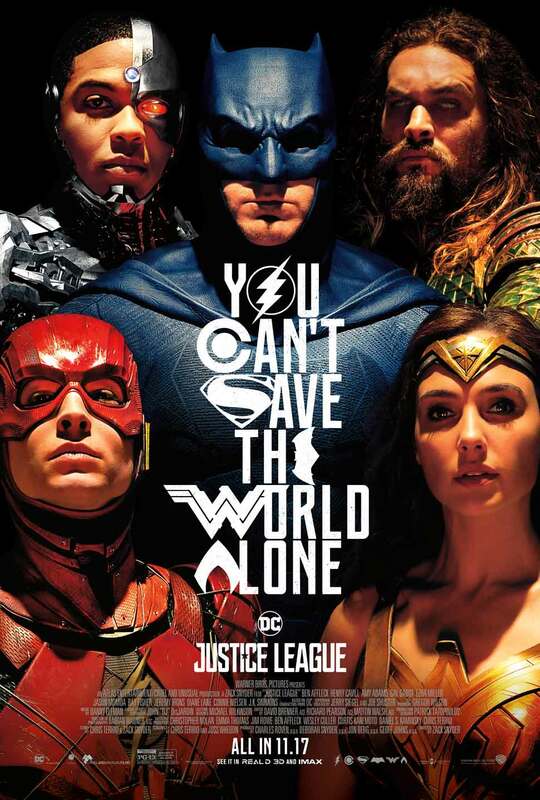 Starring Ben Affleck, Henry Cavill, Amy Adams, Gal Gadot, Ezra Miller, Jason Mamoa, Ray Fisher, Jeremy Irons, Diane Lane, Connie Nielsen, J.K. Simmons. Directed by Zack Snyder. Rated PG for sequences of sci-fi action and violence.